Remarks delivered at The Community Synagogue on Friday, February 1, 2019. We learn a lot from the culture around us. We learn what’s valuable and what’s not, what’s acceptable and what’s not, what’s okay to share and what’s not. I remember learning something from an important cultural icon of the nineties and early two-thousands, Friends. It was the first show I watched weekly with my mom, and I still watch episodes on Netflix from time to time. In retrospect, I realize now how it reinforced harmful cultural norms: misogyny, homophobia, body-shaming. But I also remember how the show dealt with one life experience shared by many: the struggle of infertility. Toward the end of Friends’ penultimate season, Monica and Chandler want to become parents. Their efforts at conceiving a child go unfulfilled. In an episode appropriately titled “The One with the Fertility Test,” both characters visit a fertility specialist, who reveals that they each have physiological traits that make it extremely unlikely they’d be able to conceive a child with one another. Monica and Chandler grieve the loss of this hope on camera. They then embark on a romanticized version of an adoption journey, the end of which coincides with the show’s series finale. They become the parents of healthy twins—and, like many Manhattan parents, they move to the suburbs. I didn’t know at the time that Monica and Chandler’s story arc on Friendswould one day feel so personal. My husband Ari and I hope to add children to our family someday, and we anticipate doing so via adoption. We’ve felt the grief that we cannot, just two of us, create a child who has two biological dads. But we also know that no one expects us to be able to have a child the so-called “natural” way. Not so for large numbers of heterosexual couples who struggle with fertility. According to the Centers for Disease Control, about 1 in 8 US women experience fertility challenges, and among couples that experience infertility, about a third identify infertility symptoms in the male partner. Rates among Jewish communities may be even higher. We learn a lot from the culture around us, and too often our culture says that fertility issues must be borne in private—or worse, in silence. Moreover, stigma around fertility challenges frequently places undeserved burdens on women in particular. Just consider the way the CDC reports the statistics I just shared. Its website doesn’t name an absolute number of men with fertility challenges the way it does women; it only identifies male-factor infertility in couples where the female factor has already been investigated. We can even locate this same cultural bias in this week’s Torah portion, Mishpatim. In the text, God promises that if the people serve God loyally, God will bless them: “I will remove sickness from your midst. No woman in your land shall miscarry or be barren” (Exodus 23:25-26). Not only does this verse name fertility as solely a woman’s issue, but it ties fertility to behavior: Serve God properly, and you’ll have children. Which, of course, implies that if you aren’t able to conceive, you have done something wrong. With this kind of cultural baggage, how could people not bear feelings of guilt about infertility? Friends may have gotten many things wrong, but it got this thing right. Infertility is a struggle that belongs to all of us, not just women, and it need not be faced alone. Even those of who do not directly experience the pain of infertility, like me or like those who choose a child-free life—even we can stand in solidarity with those who feel that pain. We learn from our culture, but we also create our culture. It’s up to us to create one that celebrates the many ways there are to build a family. It’s up to us to support one another in the journey to parenthood, with all its ups and downs. The good news is that Judaism does not bequeath us only cultural messages that stigmatize infertility. That’s not to say they aren’t plentiful. In addition to the line in this week’s parashah, there is of course one of the Torah’s very first commandments: be fruitful and multiply. One article in altFem Magazine, an outlet for religious women’s voices, points out that Jews don’t proselytize; Jewish continuity depends on there being more Jewish babies. So we celebrate births and entrances into the covenant of Abraham and Sarah, and we structure communal life around raising the next generation. It’s not that these things are bad in and of themselves; the problem is that they are not always organized with sensitivity to those struggling with fertility. Too often those without children find themselves without a foothold in Jewish communal life. But there are also messages of hope and solidarity in Jewish tradition. Women struggling with infertility may identify with our matriarchs Sarah and Rachel, each of whom is initially unable to bear a child. And there’s Hannah, who, before becoming mother to the prophet Samuel, prays for the ability to conceive. She doesn’t just pray to God. She rages against God for placing her in an impossible situation, the situation in which she is expected to bear a child but cannot. So impressed were the (male) rabbis of the Talmud with Hannah’s prayer that they proclaim her as the exemplar pray-er (BT Brachot 31a). And then there are Rebekah and Isaac, eventual parents to Jacob and Esau. One line in Genesis says that Isaac pleaded with God on behalf of (l’nochach) his wife to conceive (Genesis 25:21). But the Talmud reads it differently: instead of l’nochach meaning “for his wife,” l’nochach should mean “opposite” or “corresponding to his wife.” He prayed for them both, the rabbis say, because both Rebekah and Isaac were infertile (BT Yevamot 64a). What a countercultural gem this midrash is! Instead of relegating the fertility challenge to the woman alone, the Talmud makes the interpretive choice to spread the burden between both Rebekah and Isaac, both the woman and the man. That these stories end in births is not to suggest they are the answer for everyone today. We know there are those whose prayers for fertility are never fulfilled. But these stories do offer us a model for a new kind of culture: not of suspicion, but of support. They decided to try IVF, in-vitro fertilization. 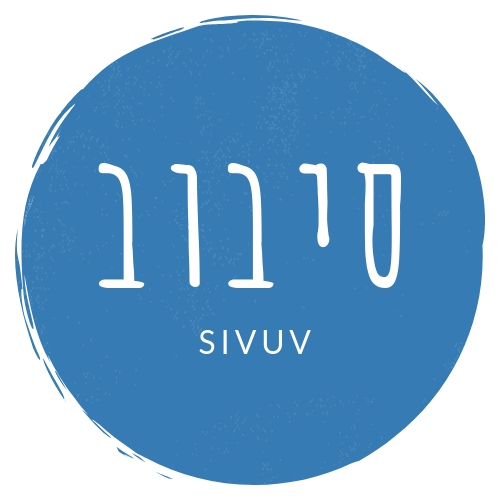 IVF, like other medically-based fertility treatments, is endorsed by Reform Jewish tradition, because it can enable couples to fulfill the mitzvah of having children (Jewish Living, pp. 232-233). IVF has no guarantees, but it does have high rates of success. It is also physically demanding on women’s bodies and verycostly. Michelle and Matan underwent four rounds of IVF in advance of their son Samuel’s birth, and each of those rounds cost around $12,000. That doesn’t include the $3,000 to $5,000 cost of medications per round, and these costs often are not covered by insurance. Having achieved their dream of becoming parents, Michelle and Matan realized their new mission in life: to help other Jews become parents through medical fertility treatments. Within a year, they founded the Making Miracle Babies Fertility Fund, which gives aid to families seeking IVF in their region of South Florida. Michelle and Matan are rallying community support for those struggling with infertility. They are building a culture of solidarity. While not every couple who experiences fertility challenges goes on to establish an aid foundation, their story is not unique. In recent years, there has been a proliferation of support networks and organizations offering scholarships for fertility treatments. Contemporary liturgists have written prayers for those embarking upon and waiting for the results of fertility treatments, for those contending with high-risk pregnancies, and for those mourning a miscarriage. And women and men are being more open about their fertility journeys, writing and posting about their experiences on social media. There is more to do, particularly when it comes to shifting the structures of Jewish communal life. Without minimizing the blessing that is having and raising children among the Jewish people, we can always be more sensitive to the place of those who wish to participate in that joy firsthand but find themselves involuntarily on the outside. And every day, we can recognize the potential harm of a simple, well-meaning comment like “So, when are you having a kid?” We don’t know the challenges—the pain—others bear, and everyone is deserving of privacy. Even for those who do eventually have children, the memory of grueling treatments, of dashed hopes, of sorrowful miscarriages never goes away. It is up to us to respect others’ privacy while empathizing with those who ask for help. If you or someone you love is struggling with infertility, your clergy and your synagogue are here to support you. We can connect you to organizations and resources in the area, and we will pray with you for strength. We are here to listen in safety and without judgement when you need someone to talk to, whether for struggles you experience now or for the pain you carry from times past. You are always welcome to reach out. We learn from our culture: what’s valuable, what’s acceptable, what’s okay to share. Let’s build a culture of support and solidarity with all who wish to become parents, wherever that journey takes them. We pray with and for those of us who seek children in our lives, and whose prayers have not yet been answered. We mourn with them for losses which too often are unspoken and invisible—for miscarriages, for failed pregnancies, for infertility, and for unconsummated adoptions. We pledge our love and support for them. We pray with them for healing from the pain. We pray with them for the strength to sustain unfulfilled dreams. And we pray, O God, that the deepest wishes of their hearts will be fulfilled in the year which stretches ahead. We offer this prayer, O Source of Life. Beautifully written and really important message-thank you!